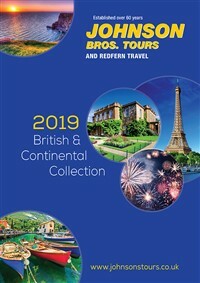 Blackpool Britain’s favourite seaside resort is brimming with exciting attractions that make every visit a fun-filled adventure. 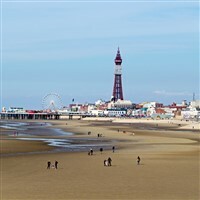 Blackpool  Britains favourite seaside resort  is brimming with exciting attractions that make every visit a fun-filled adventure. Thrill-seekers can brave the white-knuckle rides of the Pleasure Beach, from the iconic Pepsi Max Big One to the traditional Grand National, or slip and slide through the worlds longest indoor rollercoaster waterslide, the Master Blaster, at Sandcastle Waterpark. For a trip down memory lane, the Blackpool Tower Eye, with its 4D cinema and SKYWALK, is an awe-inspiring exploration of the towns history coupled with exhilarating views from the floor to ceiling glass observation window. From 380-feet above the Promenade, you can descend to the depths of the Blackpool Tower Dungeon, where expert performers will regale you with their very own horrible histories of plague and torture. And dont forget the Blackpool Tower Circus, with everyones favourite clowns, Mooky and Mr Boo.